Tretiak. 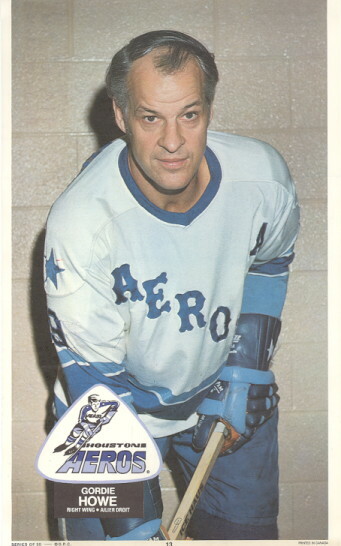 If you are a hockey fan of a certain age, you know the name. Generally referred to by one name only. Tretiak. Arguably the greatest goaltender of all time. 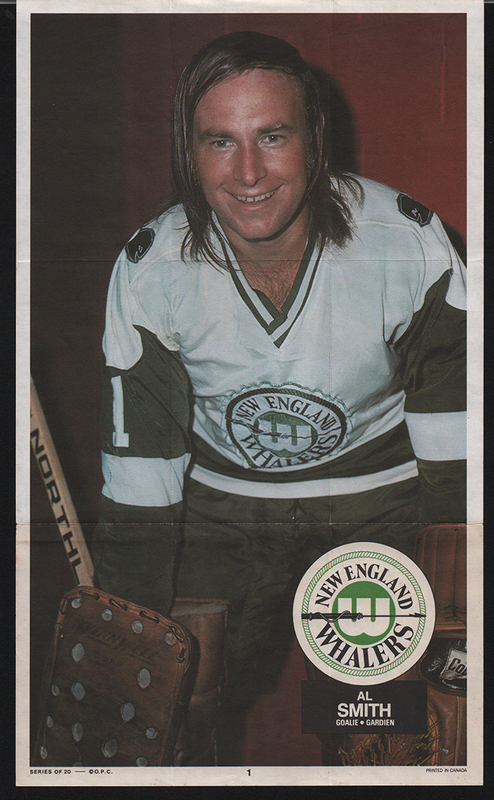 I’m strongly in the camp that believes he was definitely (at the very minimum) the greatest of the 70’s and would have dominated had he been allowed to play in the NHL. The selection was organized by the International Ice Hockey Federation and named in 2008. The panel comprised 56 ice hockey experts from 16 countries representing a balance between North American and European countries, and included people who have worked in the game for an extended period and whose opinions are widely respected. One of the 56 votes represented the collective opinion of the staff of The Hockey News. No single voter’s entire selection was the same as the final team. In the bottom of a huge jumble I picked up that was mostly junk was this. I asked about it. He says his dad got it from him and some event and had it hand signed. I know without a COA it’s virtually worthless. But you know what. Who cares. The guy was young, starting a family and clearing out the junk from his dads possessions.I asked him if he wanted to keep it just for the sentimental value of his dad giving it to him and he said no. WTF? It’s Tretiak. I’m sure his dad knew who he was. Needless to say, he’s got a place of honour in my collection. Something different from O-Pee-Chee in stores for young hockey fans for the 1973-74 season. The WHA had survived its first season and although to say it was thriving was a stretch there was perhaps a sense that maybe it would stick around for a while. O-Pee-Chee had included 50 WHA cards as series 4 in the previous season release but it was the last (only) mixed set. I can sense perhaps a phone call from an NHL lawyer advising not to do that again? For whatever reason, I don’t think O-Pee-Chee was not quite ready or willing to put money into producing a set of stand alone cards for the league so they did something different. A set of 20 posters. 2 each for 10cents plus a stick of gum. Could you imagine getting this combo? From the 1977 Star Wars O-Pee-Chee set. Who is that Ken Kenobi? In the last few months I’ve become a lot more interested in adding to my O-Pee-Chee non sport collection. I’ve updated my want lists and check lists and started plugging away on them. It’s a nice change from the sports cards and just as fun. At a recent show I saw my first 1966 Comic Book Foldee. Unfolded they are bigger than a standard card and you’re supposed to fold the flaps to make fun new pictures. This was the first one I’d ever seen so I had to grab it. Off to a great start to the year. Sometimes what you are after, what you want and what you are looking for are all combined into one neat package. For 2018 I haven’t made too many goals for my collection, just to keep plugging away at my O-Pee-Chee master want list. I mean I could give an update on how I’m doing overall, which is great. Loving life and moving forward is the easy answer. Some nice basic 1993-94 O-Pee-Chee Premier. Nothing spectacular to the uninterested passive observer. I mean sure there are some HOF’ers like Mario Lemieux, even one of Jagr who is still active and a Lindros who just got his number retired by the Flyers. But what really excites me about these 34 particular 1993-94 O-Pee-Chee Premier Base cards is that they are the last 34 cards I needed to complete the set. All the best in collecting. Growing up (and still to this day) I love sci-fi. One of the best shows I watched was reruns of Outer Limits as well as the remake. As part of my goal to collect the full run of O-Pee-Chee products I have the 1964 O-Pee-Chee set on my want list. From what I can figure out it is the oldest of the core O-Pee-Chee non sport sets. There were of course some sets in the 30’s and 40’s but this set seems to be the first of the non sport sets they put out in Canada that were the start of their run up to their early demise in 1994. The same year they also put out a Beatles set, but I believe these came out earlier in the year. It was the start of a beautiful run for the Canadian company. The cards themselves take images from the show and make them “cartoony”, but the backs have nothing to do with the actual televised show stories. From what I have read they were going to use the same scripts as the TV shows but found out through their lawyers they would have to pay the writers royalties so Topps (where these actually come from) had new stories written. The set itself has 50 cards and its broken down into s a bunch of smaller stories spread over 3-4 cards. I have 2 from “The Sea Beast” story and 1 from something to do with Mars. Like many collectors I have my lists and my priorities, but I quickly and often find myself not following them as I pursue my overall goal in a haphazard fashion. So, I am going to try to spend 2018 (starting now-ish) being a little more focused. And one of the first focuses is going to be back filling my hockey sets. Starting with the 2nd last (but really the last stand alone) set of O-Pee-Chee Hockey before they disappeared as a stand alone company. The 1993-94 O-Pee-Chee Premier Hockey Set. I am only a small handful away from completing the base set, and now I am going to try to focus on the Gold Parallel a bit more and see if I can knock this set down as well. It is pretty much the same as the base, but on the front the names are highlighted in gold foil. With the exception of a couple card back variation sets (grey vs white back in the 73-74 O-Pee-Chee and the 77-78 Blank Backs) this was the first real parallel set made on purpose by O-Pee-Chee (Topps as well and they started doing it in baseball at the same time). So if you love parallels you can thank this set. If you hate parallels, well you can blame this set. Above are 3 new ones for my set. Only 369 left to go!